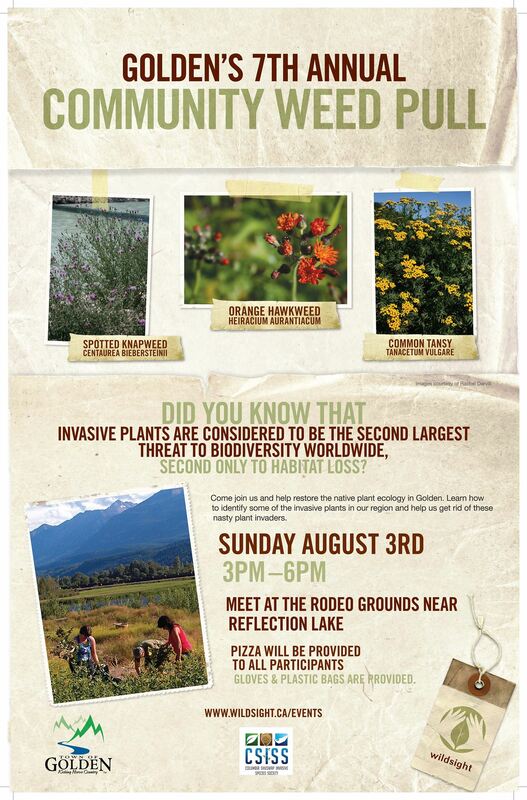 Come join the Annual August Community Weed Pull with Wildsight Golden to help restore the native plant ecology in Golden on August 3rd. It will be from 3-6pm, meet at Rodeo Grounds near Reflection Lake in Golden. 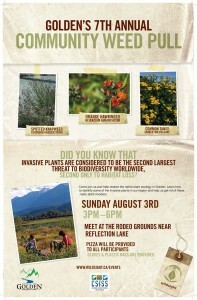 Learn how to identify some of the invasive plants in our region and help us get rid of these nasty plant invaders. Gloves, bags and drinks provided. Pizza Party to follow!